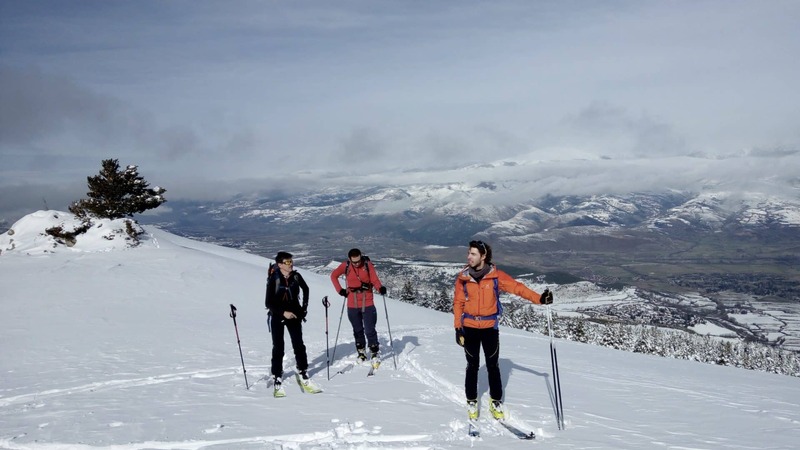 Join Cesc or one of the certified guides in his team on this one-day ski tour around the beautiful Andorra. You'll love those endless slopes! Come enjoy a fantastic ski tour in the breathtaking slopes of Andorra. 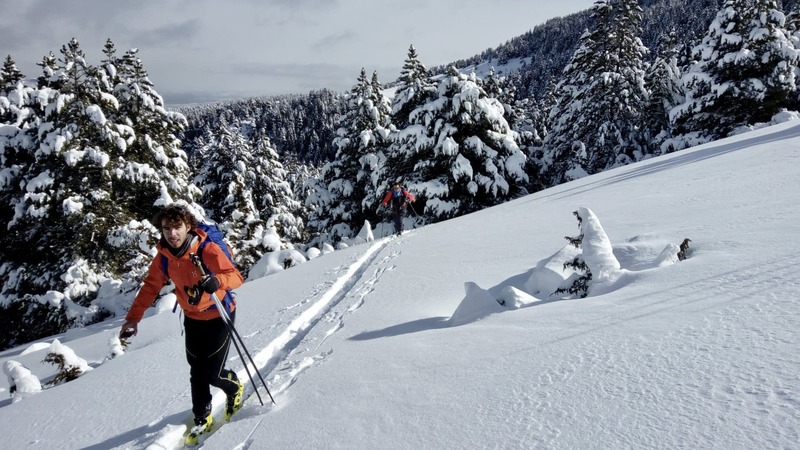 Located just two hours away from Barcelona, Andorra offers endless possibilities to practice ski touring and snowshoe hiking. Besides, there’s guaranteed snow from Christmas until the end of April. For most options, we’ll be gaining an elevation of around 1.000 meters. One of the best things of the area is that it is accesible to everyone regardless of the skill or physical level. There’s a place for you in Andorra and the nearby Eastern Pyrenees. In addition, the Mediterranean weather allows for long days of ski, sunny sky and the right amount of snow. There are hundreds of accommodation options in beautiful mountain villages to suit every budget. Make sure to bring appropriate clothes to the time of the year. Also, a modern avalanche Transceiver (3 antenna preferred), avalanche prove (240 cm. minimum) and a shovel. I can plan the best ski touring program depending on your time availability and lodging location. Book your trip now and get ready to enjoy the fantastic views of Andorra! 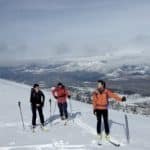 I would love to guide you in this ski touring trip. Right in the heart of Catalonia, well connected with Barcelona, stands the Montserrat massif; a mountain with a big natural, cultural and spiritual significance that rises sharply to 1,236 meters from the top of St. Jeroni. The Montserrat Mountain Guides offer the possibility to discover this fantastic mountain accompained by professional certified guides and instructors. We organize guided activities and courses of all levels. 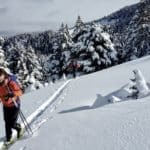 Along with all these activities in Montserrat, we can guide you over all the natural sites of Catalonia and the Pyrenees, a region with a wide range of possibilities for trekkers, hikers, climbers, etc. From Guies de Montserrat we promote the use of sustainable transportation (train, zipper, funicular) and the development of activities that stimulate in participants a feeling of belonging to the places he or she visits. This perception of belonging, as we work with feelings and perceptions, can perfectly be assimilated to a sense of spirituality. ability and I had a great day out with Francesc. / or bring for the day. We had a good idea of what was needed being climbers already but beginners may not. for my fitness level. I felt challenged but accomplished by the end of the 6.5 hour hike. I felt like Ricard and I were friends by the end of it. He was knowledgeable about the history of Montserrat and made sure to educate me about the trees, plants and the different mountain peaks during our adventure. I felt safe around Ricard and knew I was in great hands. He’s a wonderful human and truly made this experience rememberable. Thank you for an awesome trip! Both Marissa and I had a great time climbing with Francesc. He was knowledgeable, charming and fun to climb with! Plus he taught us how to make pan con tomate :). One thing however, Cesc took some images with his camera (I cannot remember what he called it but it’s similar to a GoPro) and we were curious if we could get digital copies. Can you ask him about that? I would recommend this trip to anyone and everyone who is interested in climbing in Spain or anywhere in the world. Thanks! but decided to go with Cesc. It was the best decision I made. He was an absolute pleasure to work with. He knew exactly where to take us for learning sport outside and continued to push us throughout the day with climbs that were at our level. Will definitely use him again when we come back to BCN for some multi-pitch! it! Hearing the bells of the monastery at Montserrat echo up the mountain while climbing was truly spectacular! in Barcelona and around. There were no delays of any kind in our collaboration with both of them. a really nice guy. It was a really great day. also doable for everyone else!